Victor Davis Hanson was a professor of classics at California State University, Fresno, and is currently the Martin and Illie Anderson Senior Fellow at Stanford University‘s Hoover Institution. What will history make so far of our five-year voyage with Barack Obama? What will it make of hope and change — other than a sort of hysteria of 2008 that was a political version of the Pet Rock or the Cabbage Patch Doll derangement? Did we really experience faux-Greek columns and Latin mottoes (vero possumus) as Obama props to usher in the new order of the ages? What exactly made David Brooks focus on trouser creases, or Chris Matthews on involuntary leg tickles? How could any serious person believe a candidate who promised to change the very terrain of the planet? Why would sober critics declare a near rookie senator “a god”? Only as America slowly sobers up from five years of slumber can we begin to fathom Obama’s likely legacy — which is mostly wisdom acquired only from pain. Liberals always had thought a right-wing bully president would erode civil liberties. How ironic that a charismatic, post-racial, self-described “constitutional law professor” has done more damage to our Constitution than has any president since Richard Nixon. Had the AP, IRS, or NSA scandals occurred during the Bush second term, congressional Democrats would have been calling for impeachment. The old controversial presidential signing statements of the past are mere misdemeanors compared to Obama felonies of declaring settled law null and void, from the employer mandate to the implementation guidelines of Obamacare to exempting pet businesses and congressional staffs from the requirements of the law. A place where everything revolves around the fixed planet of public spending. It may be that we have to move beyond politics alone to explain events in Washington. 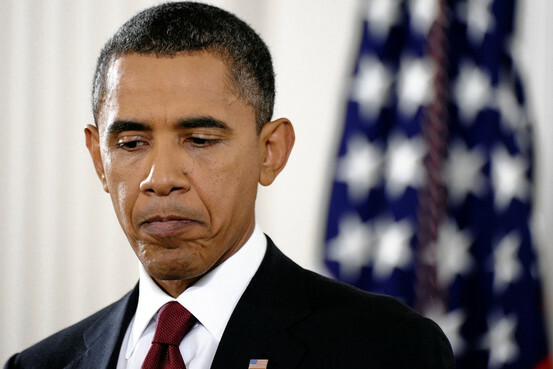 We are in the fifth year of the Obama presidency, and Washington is still dead in the water. Four straight years in which the government of the United States of America fails to enact a budget is, well, amazing. The sense is growing around Washington, and this increasingly includes Democrats, of living in an alternative universe. Barack Obama gives his State of the Union speech, the sequester looms, and the president flies around the country giving speeches. He’s had virtually no contact on the sequester with the legislative branch. Now he’s going to meet with them after the sequester happens. This is unusual. We need to look outside normal politics for explanations. The Obama administration is trying to pull us back into what astronomers would call the pre-Copernican world. Copernicus’ heliocentric system overthrew what was known as geocentrism—the belief that everything in the universe revolved around the earth. Beautiful maps exist depicting geocentrism. Rep. Jeb Hensarling, Texas Republican, is chairman of the House Financial Services Committee. EXCERPT FROM THIS ARTICLE: The Sandy relief bill passed by the Democratic-controlled Senate — the same Senate that has refused to pass a budget in the last three years — includes $150 million for fisheries as far away as Alaska, $8 million to purchase cars for the Homeland Security and Justice Departments, $58.8 million to replant trees that were damaged on private land, $135 million to improve weather forecasting, and $10.78 billion largely for future construction improvements to public transportation not even related to Hurricane Sandy. In fact, 64 percent of the so-called “emergency” funding in this bill will not be spent until 2015 or later. There is no doubt that Hurricane Sandy rendered unspeakable damage to lives and property on our East Coast. It truly represents one of the great natural disasters of recent history. For millions of our fellow citizens, the devastation has been unfathomable. We are a compassionate nation, and that is why this week the House of Representatives is taking up its second Hurricane Sandy relief bill. Al Gore is about 50 times richer than he was when he left the vice presidency in 2001. According to an Oct. 11 report in The Washington Post, Gore accumulated a Romneyesque $100 million partly through investing in alternative energy firms subsidized by the Obama administration. Two days after that story ran, Mitt Romney proclaimed at a rally in Ohio’s Appalachian coal country: “We have a lot of coal; we are going to use it. We are going to keep those jobs.” Thousands cheered. The juxtaposition speaks volumes about the Democratic Party, and about modern liberalism generally. As the Democrats become more committed to, and defined by, a green agenda, and as they become dependent on money from high-tech venture capitalists and their lobbyists, it becomes harder to describe them as a party for the little guy – or liberalism as a philosophy of distributive justice. Gore’s sanctimony doesn’t help. The erstwhile Tennessee populist bristles at any suggestion that his climate crusade is about money. And, no doubt, he cared about the planet before he got rich. Still, his investments, including in such flops as Fisker, the maker of $100,000 plug-in hybrid cars, create a patent conflict of interest. This hurts his credibility – if not about climate change per se, then certainly about the particular solutions he advocates. From historic figure to beleaguered incumbent in less than four years. So where are we? A softly catastrophic storm left us, in the Northeast, shocked at the depth and breadth of its power to destroy. Everyone who could be was hunkered down Monday waiting it out, and at first we hoped it might not be as bad as we’d been warned, because we’d all seen higher wind and harder rain. But the waters rose and wouldn’t stop, breaching dunes, overwhelming barriers, filling the tunnels and subways like a bathtub, as somebody said on TV. It was—is—a true crisis. So far, our political leaders have done pretty well. But the hard part will be from here on in—getting things up and operating again without the original adrenaline rush. New York’s mayor, Mike Bloomberg, was sterling—a solid, unruffled giver of information whose news conferences were blessedly free of theatrics save for his gifted sign-language interpreter, who wowed a city and left the young evacuees in my apartment furiously signing “Where’s the coffee?” and “I think the baby needs to be changed.” Gov. Chris Christie of New Jersey was his usual compelling self, similarly informative. This is a man who knows a levee from a berm. He is one tough red-state player on a blue-state field. If Mitt Romney loses, will Mr. Christie garner Republican criticism for his hearty embrace of president Obama just days before the election? Yes, he will. Will it hurt him in Jersey? Not a bit. Will it help Jersey? Yes. They are cold and wet and running out of food in the house. Keep your friends close and your president closer. The “I” of the storm was New York’s Democratic governor, Andrew Cuomo. He was equally competent and effortful but took the mildly hectoring tone of a kind of leftism that is now old. It involves phrases like “As I’ve long said.” I think this is the worst and I was appalled and when I was at HUD I handled storms and I learned a great deal and I saw we were prepared and I am relieved and I will work hard and I need you to know global warming is what I told you it was. The winning politicians of the future will not be all about I. People don’t like it. They don’t want to have to wade past the ego to the info. Which gets us to Tuesday. No one knows what will happen. Maybe that means it will be close, and maybe it doesn’t. Maybe a surprise is in store. But the fact that Barack Obama is fighting for his political life is still one of the great political stories of the modern era. Look at where he started, placing his hand on the Bible Abe Lincoln was sworn in on in 1861. It was Jan. 20, 2009. The new president was 47 and in the kind of position politicians can only dream of—a historic figure walking in, the first African-American president, broadly backed by the American people. He won by 9.5 million votes. Two days after his inauguration, Gallup had him at 68% approval, only 12% disapproval. He had a Democratic Senate, and for a time a cloture-proof 60 members. He had a Democratic House (256-178) with a colorful, energetic speaker. The mainstream media were excited about him, supportive of him. His political foes were demoralized, their party fractured. He faced big problems—an economic crash,two wars—but those crises gave him broad latitude. All of his stars were perfectly aligned. He could do anything. EXCERPT FROM THIS ARTICLE: Why can President Obama impose expensive regulations on coal miners and steel workers? Because those industries he is damaging are small potatoes compared to the public-sector unions that now fund his campaigns. He doesn’t care about unemployed coal miners. They are not paying customers. Most miners now are non-union. Mallory and Elizabeth Factor have written an important and powerful new book, “Shadowbosses,” that explains the symbiotic relationship between the modern Democratic Party and today’s labor unions. One is not possible without the other. Democratic politicians pass laws that give union leaders power over workers, and union leaders use that power to take “dues” money from workers to give to Democratic politicians. Last year, in 2011, 16.3 million workers who belong to unions (in every sense) had $14 billion taken from them in union dues. Much of that money flowed into political campaigns as cash and to pay “volunteers.” Labor unions are the skeleton and muscle of the modern Democratic Party. Before the federal government passed the Wagner Act in 1935 forcing workers to join unions as a condition of employment, only 8 percent of Americans chose to join unions voluntarily. Thanks to Franklin Roosevelt’s legislation giving unions power over workers, once a union was in place, it did not need to ask workers to join. They paid dues or did not work. Before the creation of government-empowered unions, the Democratic Party was the party of the discredited Confederacy, and from 1860 to 1932, of 15 presidents only two were Democrats: Grover Cleveland and Woodrow Wilson. Wilson only won because Teddy Roosevelt ran as a Progressive, splitting the Republican vote. When Herbert Hoover imposed massive tariffs, hiked the new income tax to 75 percent and spent like Barack Obama, he deepened a recession, and Franklin Roosevelt was able to win the 1932 election. FDR continued Hoover’s policies of higher taxes, “stimulus” spending and government regulations. He might have lost the next elections. But FDR created a new extension of government — labor unions with powers over workers to extract union dues. With government relatively small, those unions were in factories and there was a limit to how high wages and work rules could go without bankrupting businesses. Union power was constrained by its interest in the health of the overall economy.